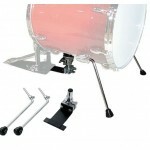 With the increasing popularity of compact drum kits, there are multiple choices of Bass Drum Risers on the market. Pearl’s Jungle Jig is one of my favourites and I have a couple of them kicking around. 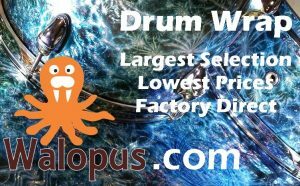 With a MSRP of US$60 and a street price of US$35, It’s one of the more affordable options for easily and quickly converting a floor tom into a mini bass drum. 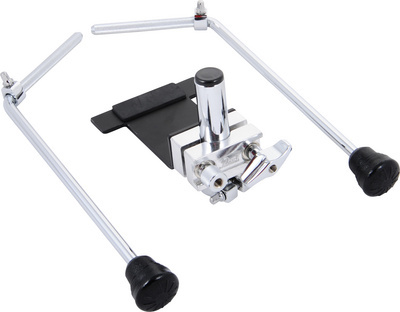 You will also need a tom mounting bracket with a 7/8″ receiver. If you wish to make your conversion reversible, an I.S.S. mount is also required, which will set you back another US$25. 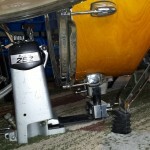 Note that the JG16 also includes spurs that fit in most existing floor tom leg brackets. To make a quick comparison with a couple of competing products, Gibraltar’s riser has a street price if US$25 and DW’s is US$55. None of these include spurs though. Read our Pearl JG16 Jungle Jig Review for all you ever wanted to know about the JG16. In my rarely humble opinion the JG16’s design is about as perfect as a Bass Drum Riser can get. 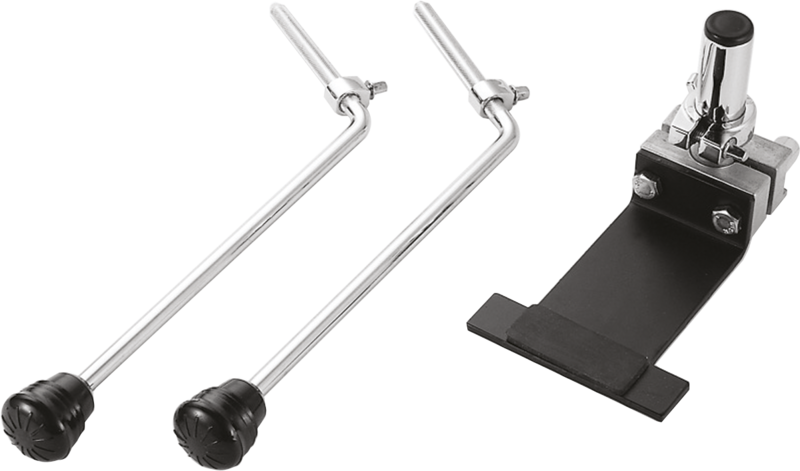 With some additional pieces of 7/8″ tube, the height is infinitely adjustable, although there is no horizontal adjustment. The distance from the post to the pedal clamp is fixed. It can be used either in conjunction with an I.S.S. mount for a reversible conversion, or with a permanently installed tom mounting bracket. 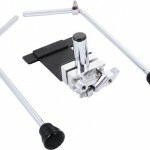 The device itself is simple as can be, consisting of a steel base to mount the pedal to, two aluminum clamp-halves and a chrome post. With a little finagling the clamp portion can be adjusted to fit just about any size post. 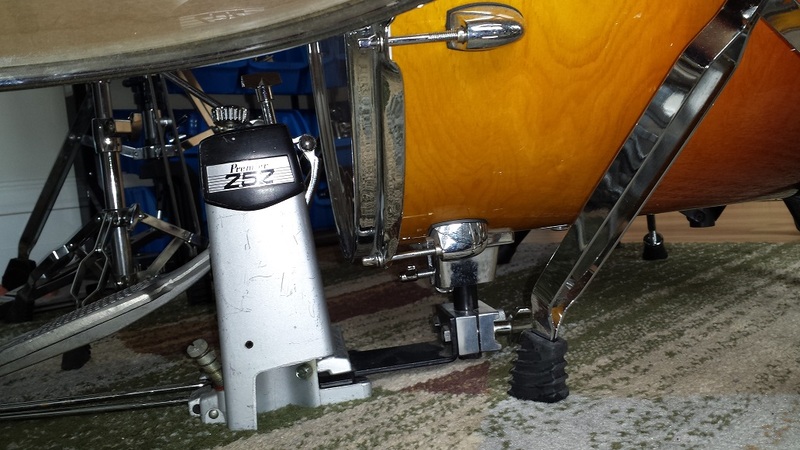 It also comes with two 3/8″ diameter spurs that fit most floor tom leg brackets. The riser that ships with the Rhythm Traveler GIG is almost identical. 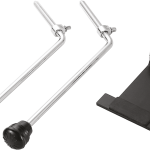 The one difference is that the GIG’s riser clamp portion has different size halves, that can be reversed for two horizontal lengths. This way it quickly adjusts for either steel rim, or bass drum hoop. I wonder why Pearl didn’t include this feature in the JG16 as well? I use the JG16 with my Gretsch Catalina Maple kit. 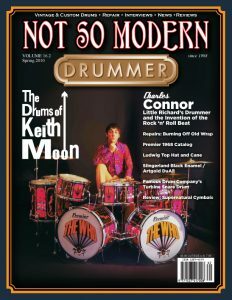 My 16″ tom has a permanently installed mounting bracket and I use an I.S.S. 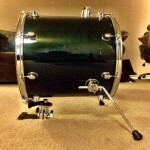 mount from time to time to use the 14″ tom as a bass drum for a “Martini-sized” kit. My other JG16 does duty on various toms for test rigging small kits, trying shell/head combinations or when I just grab a few drums and go jam somewhere. It’s quick and easy to deploy on any tom, never gives me any snags and never requires any tweaking. With a couple different sizes of I.S.S. 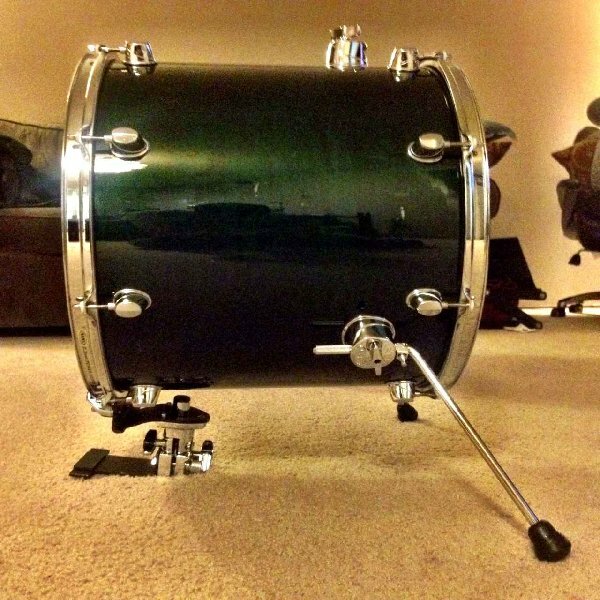 mounts any tom quickly and easily becomes a bass drum. Funny enough, I can’t seem to find any mention of the JG16 on their site? 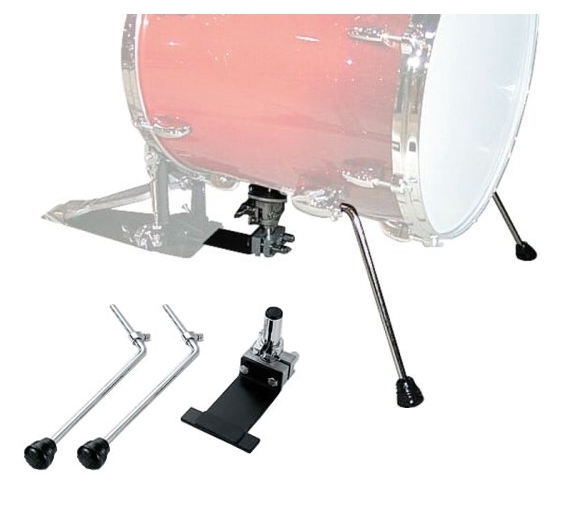 Is Pearl's Bass Drum Riser the right choice for you? Read our Pearl JG16 Jungle Jig Review For the inside scoop of all the Pros and Cons. Tested on 10"-18".